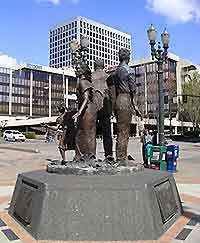 Statues standing outside of the convention center. 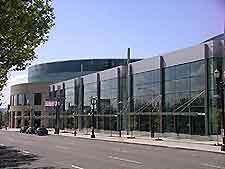 View of the Portland convention center. 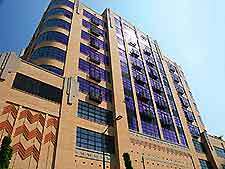 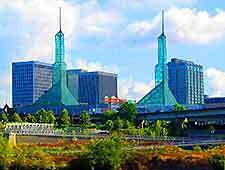 The convention center is a major landmark in Portland, featuring simple, modern architecture. 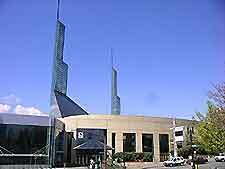 The convention center's twin towers have become an iconic sight on the skyline. 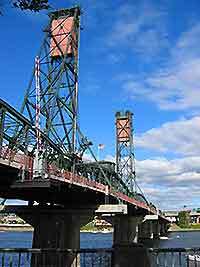 Close-up of Portland's central Hawthorne Bridge. 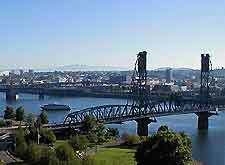 Aerial photo of the city, showing the Willametter River. 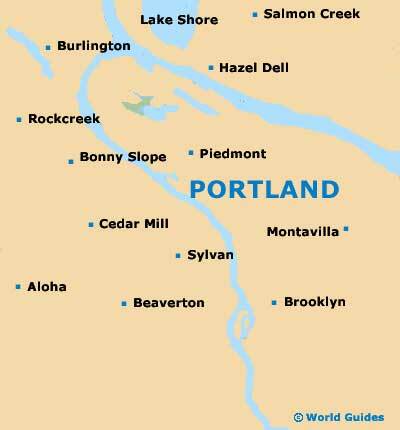 Central Portland is full of both older architecture and modern buildings, often standing side-by-side. 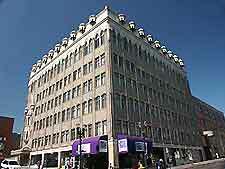 Contemporary architecture in the city center. 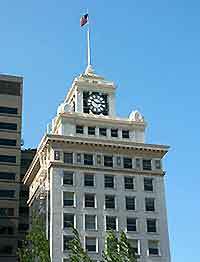 Picture showing one of the city's most distinctive buildings, boasting an enormous clock face.